Like it or not, the games-as-a-service model is one that’s becoming far more apparent in games. Not a day goes by where news headlines aren’t at least somewhat dominated by mention of a loot box, microtransaction, or other ‘live service’ scandal that’s seemingly intent on keeping us hooked on our favourite games for longer. If games like Assassin’s Creed Origins, Rainbow Six Siege, and Ghost Recon: Wildlands prove anything however, it’s that these unannualised games intended to serve as a platform that can create more refined experiences for players. Especially when given the room to evolve and adapt rather than wiping the slate clean year after year. It’s clear that Ubisoft sees value in this approach, as evidenced by their recent earnings call to investors. It was here where CEO Yves Guillemot reinforced the company’s commitment to bolstering existing franchise entries, rather than stepping back into the annualisation cycle the publisher was previously renowned for and a slave to. And while it’d be easy to look at this position and continue hailing such cynical stances like the ‘death of single player games’, Ubisoft’s output in 2017 would indicate that improved time and dedication can go a long way. Titles which would previously be forced out to churn a yearly profit are suddenly given time to breathe. Let’s use Rainbow Six Siege as a case study. What was at first pitched as a multiplayer-only, humdrum military shooter, looking to catch the same lightning in a bottle enjoy by the preceding Vegas sub-series, has quickly accumulated a passionate and devout player base. And it’s one that continues to take joy from the game’s unique focus on competitive team-based action. This accomplishment is made even more impressive, considering this wasn’t at all what Rainbow Six Siege was originally intended to be. While Ubisoft remains coy about their original strategy for the game, from day one it was pretty obvious that the plan was to launch, release DLC, and then move on to the next entry. The community surrounding Siege wasn’t having any of that. 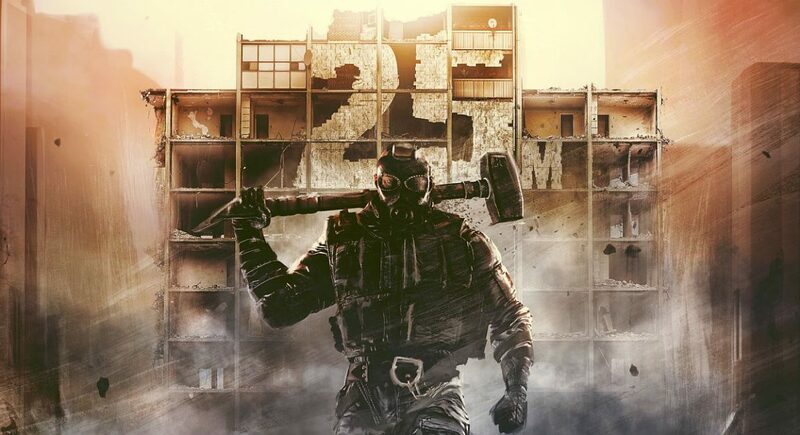 Just last week it was announced that no official sequel to Rainbow Six Siege is currently in the works, with Ubisoft promising to support the 27 million players worldwide for a further ten years in the form of new operators, new events, and dedicated invitationals. Not bad for a title that originally underwhelmed many with its lack of content at launch. Of course, the transition from annualisation to service-based games hasn’t all been plain sailing, with Ubisoft’s real testcase for this format, The Division, leaving many wanting initially. An ambitious title that sought to perfect the concept of a shared-world shooter, arguably popularised by the oncoming of Activision’s Destiny, where The Division fell apart was in its repetitive endgame – a design element that simply cannot afford to be overlooked the more we enter in to this unknown age of service-based games. Despite this fact, The Division is a game that continues to be updated and remain popular with a specific player base, so here’s hoping the sequel fares better when it is almost certainly announced at this year’s E3. 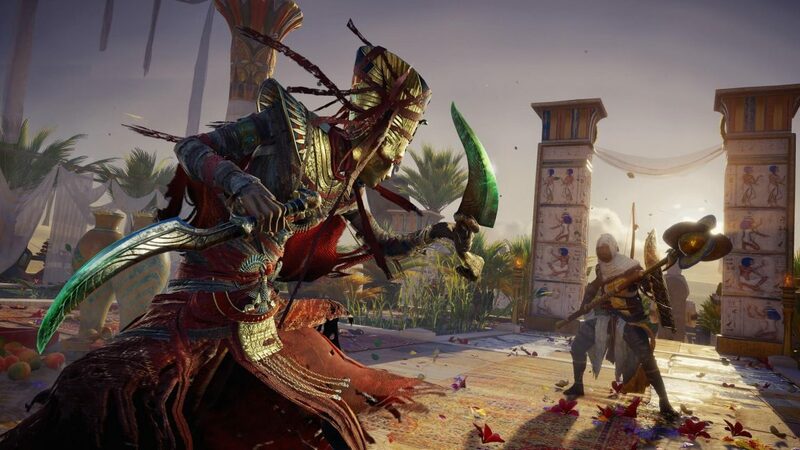 For me personally, the prime example of what can be achieved when stepping back from the annual video game release model is Assassin’s Creed Origins, an entry which served to inject new life into a franchise that was long considered stale. It’s since been born anew. A literal far cry from the fetch-quest checklists of old, your motivation to progress through Origins’ beautiful rendition of Ptolemaic Egypt is primarily systemic, and because of this, it doesn’t make sense to hit the reset button with a new release one simple year later. Back when Assassin’s Creed did release annually, it wouldn’t be averse to describe the series as one constantly undergoing an identity crisis. With every new entry, the climb mechanics would change, the quality of side quests would vary wildly, and the presence of a skill tree wasn’t always guaranteed. Creed was a series looking to cater to all types of player, losing its sense of identity as a result. Games like Siege and Wildlands at least know what they want to be, but the same couldn’t be said for Assassin’s Creed up until very recently. This problem is best encapsulated when looking at Assassin’s Creed Origins predecessor, Syndicate, which made concerted efforts to ease the time needed to traverse its setting thanks to the introduction of the rope launcher. Fast-forward to the next release and such mode of transportation is nowhere to be seen. It’s arguable that this constant roulette wheel of mechanics and systems formally offered up annually by Assassin’s Creed helped keep the franchise fresh, but continually handing it over to different developers meant that weird inconsistencies in how the game could be played were a common occurrence. AC Origins represents a culmination of all the series’ best (and some worst) elements so far, but its new role as a single player game-as-service has allowed it to form a foundation that both players and developers can build off of in the future. No longer when aching to get your Assassin’s Creed fix will you find yourself asking questions like “Can I sail a boat in this one?” or “What’s going on with the near-future Abstergo subplot again?” Rather, one can look forward to checking out regular streams of fresh content without fear of getting lost or the need to reacquaint themselves. That’s part of the reason For Honor, Ghost Recon Wildlands, and Rainbow Six Siege have been allowed to flourish after all, and the fact that such a feat can be successfully implemented even in a single player-focussed game is exciting. Who’s to say what could be accomplished if say, Far Cry, chose to adopt a live service model or episodic-based format? In many ways, this would help silence those who took issue with the uncanny similarities between Far Cry 3 and 4, providing that any integrated microtransactions required to keep the game afloat don’t infuriate to the point of annoyance. Already Ghost Recon Wildlands and Assassin’s Creed Origins have done a decent job so far at demonstrating the kind of iterative experience possible when treating a game as a basis to build upon instead of the usual ‘one and done’. 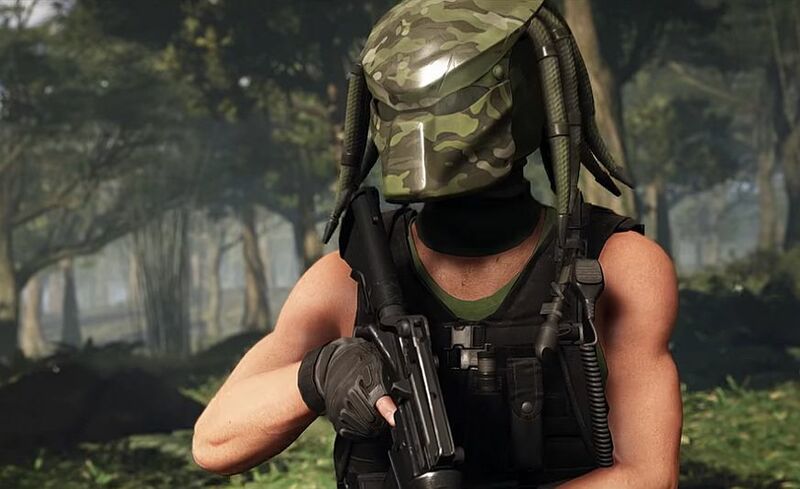 Whether it’s the outright zaniness that ensues after introducing the alien hunter from the 1980s’ movie Predator as a timed event, or the educational value offered by something as forward-thinking as Origins’ new Discovery Mode. Such additions merely represent the tip of the iceberg with how big publishers are experimenting with ‘live service’ titles outside of microtransactions, never being forced upon players so as to detrimentally impact the core game experience. One thing’s for sure, for all the unknown factors still permeating with the games-as-a-service model, sticking to a game as opposed to merely using it as a template and moving on holds plenty of untapped potential. If the recent successes enjoyed by Ubisoft’s recent titles means we’ll be playing them for longer, at least there’ll be time for this potential to be perfected.